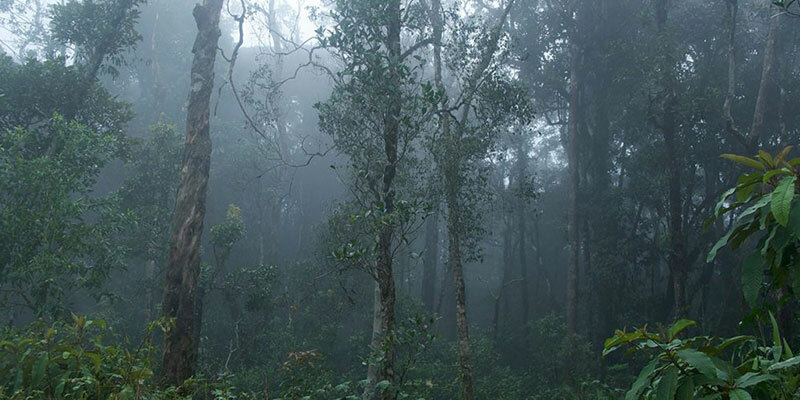 Jakarta/Amsterdam, March 7th 2019 – The &Green Fund, a blended finance impact investment fund focused on forest protection and tropical forest commodities today announced that it is investing 23.75 million US dollars in sustainable, deforestation-free rubber in Indonesia. The investment will fund PT Royal Lestari Utama (RLU), an Indonesian joint venture of the French tire manufacturer Michelin and Indonesian Barito Pacific Group. &Green will make this investment through the purchase of notes issued by TLFF I Pte Ltd (“TLFF”) under the Tropical Landscapes Finance Facility. The first investment of the Netherlands-based &Green fund, whose current investors are the Government of Norway, Unilever and the Global Environment Facility, will catalyse the completion of a successful notes issue by TLFF. The TLFF notes are used to finance a 95 million US dollar loan to RLU for the development of sustainable rubber plantations operated by RLU in Jambi (Sumatra) and East Kalimantan. The loan is partially guaranteed by USAID. “This investment from &Green gives RLU, and its shareholders the confidence that our model for sustainable rubber production is on the right track and can be scaled with the right financing partners,” explains Paolo Kartadjoemena, President Director of RLU. Beyond this landscape-level forest protection impact, the project is also set to deliver significant socioeconomic benefits, eventually creating an estimated 16,000 jobs at full scale. In addition, RLU is committed to the development of a Community Partnership Program benefitting communities in both Jambi and East Kalimantan. On-going collaborations with key stakeholders, such as government agencies, local and international NGOs, and the engagement of surrounding communities are ensuring integrated development of the landscape. In collaboration with &Green and TLFF, the project has produced a “Landscape Protection Plan” transparently outlining its efforts in the landscape focusing on the vast areas within the concessions. An Environmental and Social Action Plan will help navigate the complexities of developing the concessions sustainably. “We are delighted that &Green has chosen to invest in this meaningful funding initiative, which will have direct positive environmental and social benefit to people’s livelihoods in these areas of Indonesia,” said Luc Cardyn, President Director of PT Bank BNP Paribas Indonesia. &Green, incorporated as a Dutch Stichting, was developed under the leadership of IDH in close collaboration with Norwegian International Climate and Forests Initiative (NICFI). It is a blended finance debt fund investing in commercial projects that can demonstrate decoupling of commodity production from deforestation while being socially inclusive. &Green is focused on tropical forest jurisdictions with progressive forest protection strategies and targets in place. Its targets sectors are the commodities that are driving deforestation such as palm oil, soy, beef, forestry and others. Current contributors to the fund include the Government of Norway, through its International Climate and Forest Initiative (NICFI), Unilever, the British-Dutch consumer goods company, and the Global Environment Facility (GEF), with UN Environment acting as its implementing agency. Dutch advisory firm SAIL Ventures acts as the fund’s investment advisor. Royal Lestari Utama (RLU) – established as a joint venture of Michelin and Barito Pacific group in 2014 – operates three licenses covering approximately 71,000 ha in BTP, PT. Wanamukti Wisesa (WMW) and PT. Lestari Asri Jaya (LAJ) as well as approximately 19,000 ha in East Kalimantan, PT Multi Kusuma Cemerlang (MKC). All areas have been heavily deforested by mostly migrant encroachers. Barito and Michelin joined their expertise in agronomy and re-milling and established RLU to better manage the area including reforestation and socially inclusive and environmentally responsible rubber plantation development. The Tropical Landscapes Finance Facility (TLFF), a partnership between UN Environment, World Agroforestry Centre (ICRAF), ADM Capital and BNP Paribas, aims to bring long-term finance to projects and companies that stimulate green growth and improve rural livelihoods in Indonesia. TLFF consists of a lending platform managed by ADM Capital with BNP Paribas as structuring adviser and arranger, as well as a grant fund managed by the UN Office for Project Services (UNOPS). The RLU transaction is the first corporate sustainability bond in Asia and the first sustainability bond in ASEAN. Vigeo Eiris, the Environmental, Social Governance (ESG) research agency, has confirmed that the Notes are ’Sustainability Notes’ with positive contribution to sustainable development, aligned with the ICMA Sustainability Bond Guidelines. The US$ 95,000,000 Fixed Rate Secured Notes comprise of the following classes: US$ 30,000,000 Class A Notes due 2033, US$ 20,000,000 Class B1a Notes 2033, US$ 15,000,000 Class B1b Notes due 2023, US$ 15,000,000 Class B1c Notes due 2025 and US$ 15,000,000 Class B2 Notes due 2033. The Class A notes have been assigned a Aaa(sf) rating by Moody’s. UN Environment (UNEP) – is the leading global environmental authority that sets the global environmental agenda, promotes the coherent implementation of the environmental dimension of sustainable development within the United Nations system and serves as an authoritative advocate for the global environment. World Agroforestry Centre (ICRAF) – is a centre of scientific excellence that harnesses the benefits of trees for people and the environment. Leveraging the world’s largest repository of agroforestry science and information, we develop knowledge practices, from farmers’ fields to the global sphere, to ensure food security and environmental sustainability. ADM Capital (ADM) – is an investment manager, established in 1998 and headquartered in Hong Kong, with offices also in London and Singapore. ADM has been investing in Indonesia since 1998 and is one of the longest established players in the private debt space in Asia. ADM has been particularly innovative in designing debt structures that provide strong alignment of interests between borrower and lender. In 2006, the Group established The ADM Capital Foundation, (“ADMCF”), which has pioneered work in avoiding deforestation, marine conservation and water pollution, among other programs. The IFC works closely with ADM to deploy capital in Asia in a way that complies with best ESG practices. BNP Paribas – is one of the best-positioned international financial institutions with an uninterrupted presence in Asia Pacific since 1860. Currently with over 18,000 employees* and a presence in 13 markets, BNP Paribas provides corporates, institutional and private investors with product and service solutions tailored to their specific needs. It offers a wide range of financial services covering corporate & institutional banking, wealth management, asset management, insurance, as well as retail banking and consumer financing through strategic partnerships. Worldwide, BNP Paribas has a presence in 72 countries with more than 202,000 employees. It has key positions in its three main activities: Domestic Markets and International Financial Services (whose retailbanking networks and financial services are covered by Retail Banking & Services) and Corporate & Institutional Banking, which serves two client franchises: corporate clients and institutional investors. Asia Pacific is a key strategic region for BNP Paribas and it continues to develop its franchise in the region.